Weapon camouflage (or “camo” for short) is not a new addition to the Call of Duty Series. When I first picked up a copy of Modern Warfare 2 in January 2010, I spent hours trying to kit out my Intervention sniper rifle with the “fall”. If I remember correctly, this was unlocked the moment you got your 250th headshot. The camo itself was pretty ugly but the appeal came from the fact it was relatively hard to obtain and would therefore be rarer than some of the camos that required less headshots to unlock. Skip forward to 2015 and absolutely nothing has changed in that regard – people generally want to rock the rarer camos. For Black Ops 3, Treyarch have gone one step further. Weapon crate drops bring the possibility of rare camos that aren’t available by completing gun challenges. As if that wasn’t enough, you can once again unlock diamond weapons by unlocking the gold camo for every gun in any given class. 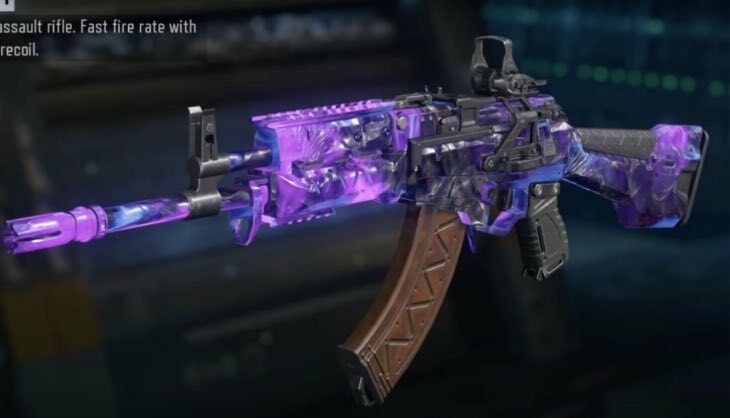 For those of you with lots of spare time, you can go one step further and unlock the “dark matter” camo, by obtaining diamond camos in every class for primary AND secondary weapons. The dark matter camo is, without question, the most difficult camo to unlock in Call of Duty history, which is perhaps why people were moaning about it being pretty boring. Not one to ignore criticism, Treyarch have updated the dark matter camo in a recent patch. Right now, I only have one gold gun- the Weevil – so it’s unlikely you’ll see diamond weapons in my hands in the near future. Radio Silence Broken: Black Ops 3 is coming!